Nigeria ranks high among the African countries Lionel Messi has had the chance to show his prowess against. From the U-20 World Cup to the Olympics and Senior World Cup, Messi has over the years showed his class against Nigeria's national teams. 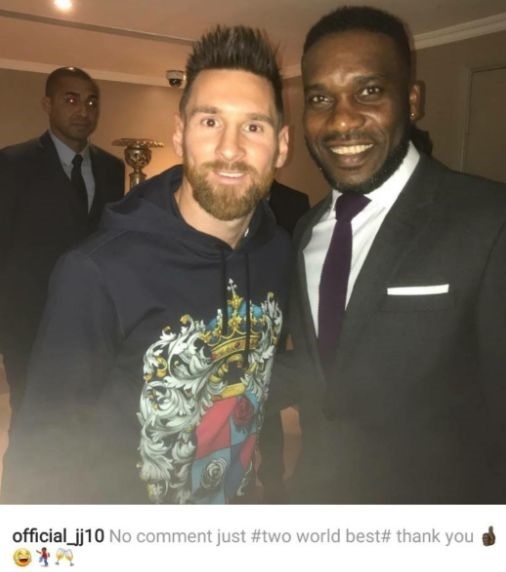 It was not surprising as the Barcelona superstar posed for pictures with everybody that mattered as a Nigerian at Monday’s Best FIFA Awards held in London. Though he missed out on the Best Men’s Player award to fierce rival, Cristiano Ronaldo, Messi was named in the FIFA XI where he is joined by Neymar and Ronaldo in the attack. The Argentine captain will again be facing Nigeria, this time in a friendly match in Russia on November 14th.